One family's coming of age story. Christy: [voiceover] There's some things you should wish for and some things you shouldn't. That's what my little brother Frankie told me. He told me I only had three wishes, and I looked into his eyes, and I don't know why I believed him. 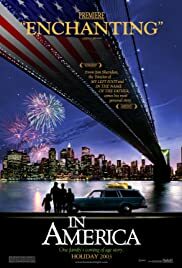 This is the story of an Irish family who comes into the US via Canada and settles in a rundown New York City neighborhood as n immigrant (exile) myself, I can very much relate to what the family was going through . Hot summers , different culture, eccentric neighbors, theft., illness. I recall my own bout with Nephritis shortly after arrival, along with a long hospital stay.My family settled in the most rundown corrupt city in the US . Newark NJ. So I know how it is to land in an undesirable town location. 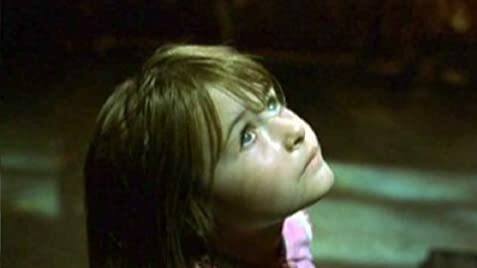 The family consists of a father , mother , two young girls, and the subtle presence of a boy who died shortly before the family emigrated. His presence however is felt through the film. . The mother becomes pregnant soon after , but must make a choice. If the child is born too early he/she would probably not survive, if carried to term the mother's life would be in peril. A subplot develops when the family befriend an eccentric black painter. Mateo. played brilliantly by Djimon Hounsou. They establish a bond that transcends their different backgrounds. The pregnant mother takes the courageous step not to terminate her pregnancy. As it is my practice I will not divulge anymore information, since It is my function as an author to comment on a film in order to either promote it or tell the reader it isn't worth his/her time. Also i'm not going to give away the best scenes and dialogue. That my dear reader you will see for yourself when you view this masterpiece of a film.